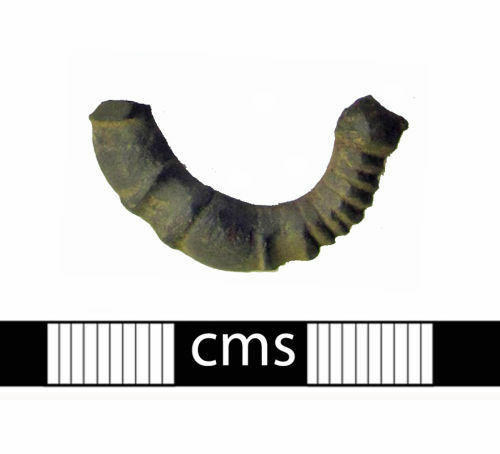 A small fragment from a cast copper alloy post-medieval buckle. The buckle was probably a double looped type, and the surviving portion of the frame has moulded ribbed decoration on the upper side. The reverse of the frame is flat and undecorated. The frame is broken, possibly at the junction of the frame and pin bar, and half-way round the outer frame. c. AD 1500-1800.